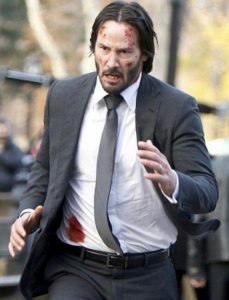 UPDATE 21/03/19: NEW TRAILER FOR JOHN WICK: PARABELLUM. Watch now. Lionsgate have released the first poster for the third instalment of the John Wick franchise, AND the first trailer is coming this Thursday (click down for a 10 second teaser). 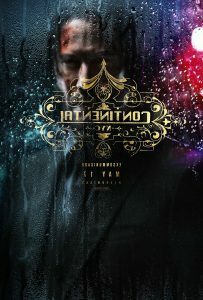 The film’s full title is John Wick 3: Parabellum, and it’s out in the US and UK on 17 May. This is the last one, so maybe we can get some decent merchandise to remember him by? Perhaps one of those musical ballerina jewellery boxes, but lined with black satin and featuring a bloodied, gun toting John Wick spinning slowly round to the dulcet tones of Marilyn Manson. The movie picks up where John Wick: Chapter 2 left off, as he staggers across Central Park accompanied by his nameless dog. He’s been given a one hour head start, but John is being pursued by so many assassins I think the only people not after him are me, Oprah and the baby Jesus. As this is the last in the franchise, all I can say to director Chad Stahelski is DON’T LET JOHN DIE! Will he listen to me? I hope so. But this is the man who killed Daisy the dog 15 minutes into John Wick and then never even bothered to call when I offered my laundry services for Chapter 2. The new film stars Halle Berry as the straightforwardly named Sofia, though everyone else sounds like they’re from an underworld TV wrestling show. 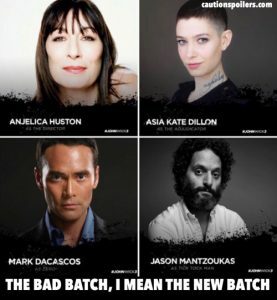 Asia Kate Dillon is The Adjudicator, Angelica Houston is The Director, Jason Mantzoukas Tick Tock Man, and Mark Dacascos is Zero. Also on board are Tiger Hu Chen, who starred in Reeves’ directoral debut Man Of Tai Chi, and Yayan Ruhian (The Raid & The Raid 2). 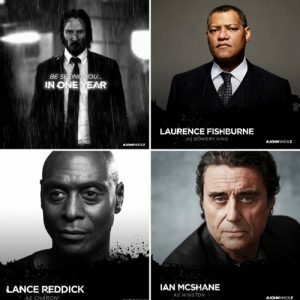 Back from John Wick: Chapter 2 are Laurence Fishburne as the Bowery King; Ian McShane as Lovejoy, I mean Winston; and Lance Reddick as host of The Continental, Charon. 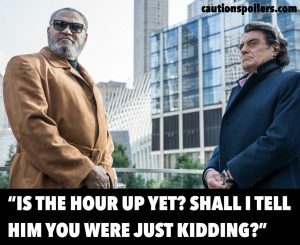 No one is entirely sure what these characters will be doing (well apart from adjudicating, directing, and clock-watching) though I’m most excited about Huston and Berry.